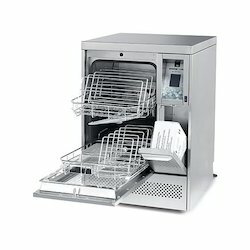 Steri techno fab is leading supplier of INSTRUMENT WASHER for hospital & medical purpose. Roller Electrode use with Working element during TURP Procedure. By leveraging upon our huge industry experience, we provide the best quality array of Laparoscopy Recorder. • on PC or USB Storage( HDD). • The input video could be as high as 4K UHD(3840X2160). - Single channel portable unit. - Able to use for muscle strengthening , re-education or rehabilitation. - With 3 sensitivity ranges. - Two modes of biofeedback- visual LED and 5 –way audible tone. We are dedicatedly involved in providing an excellent quality array of Hospital Monitor for catering the various needs of our clients. We are the leading company engaged in manufacturing, supplying and exporting oxygen suction vacuum central pipeline for our valuable clients. We prefer business from rajasthan, . Assam. Maharashtra and madhya pradesh. To supply oxygen to unconcious victim.